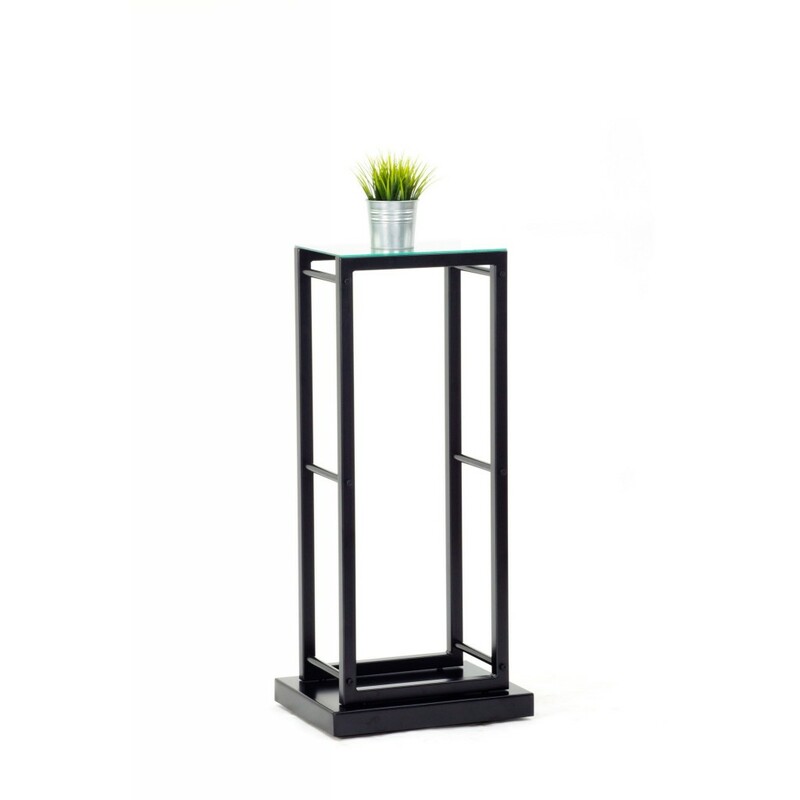 The elegant design of the basic stand is supplemented by four wheels that enable easy manipulation with the stand. 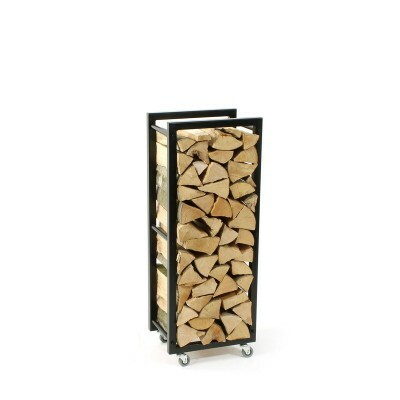 As a bonus these wheels are hidden behind a smart cover. The rack is supplemented by a clear glass top shelf to offer extra space. 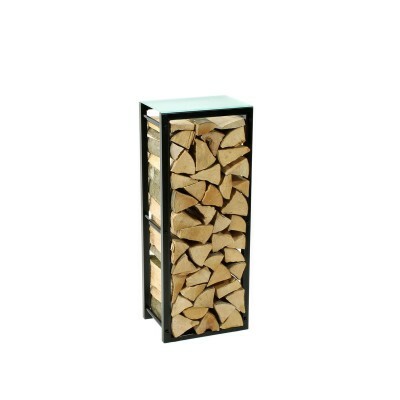 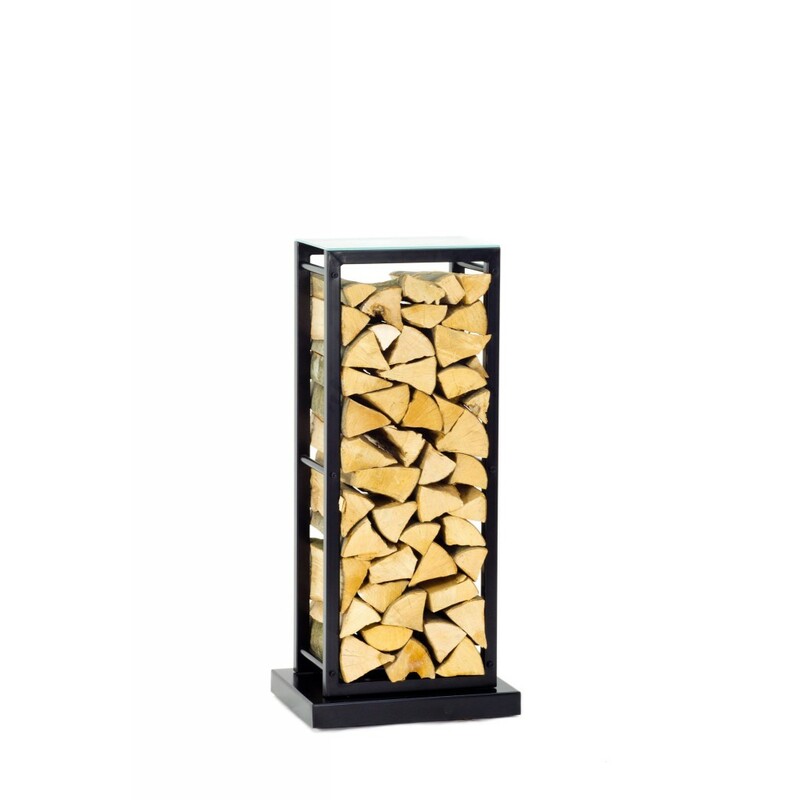 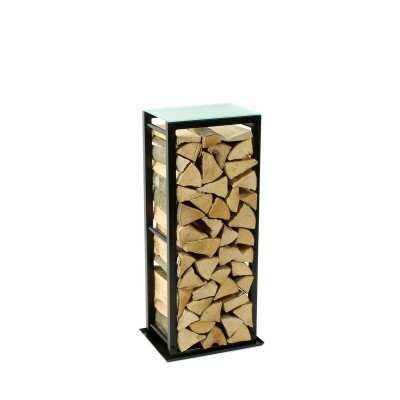 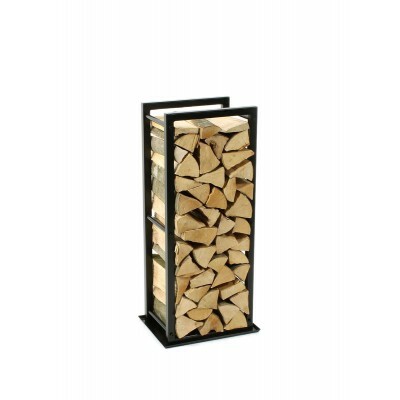 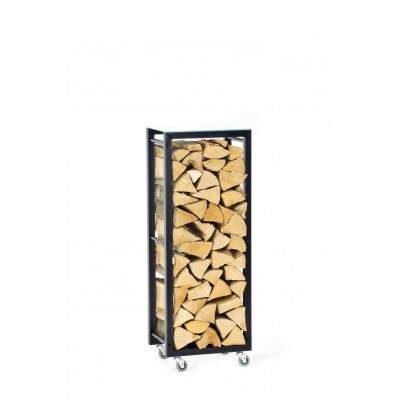 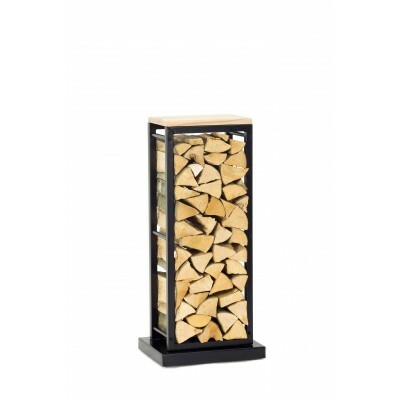 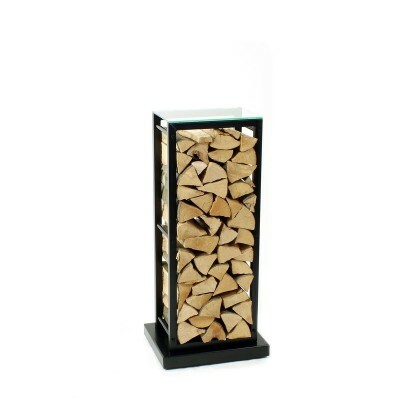 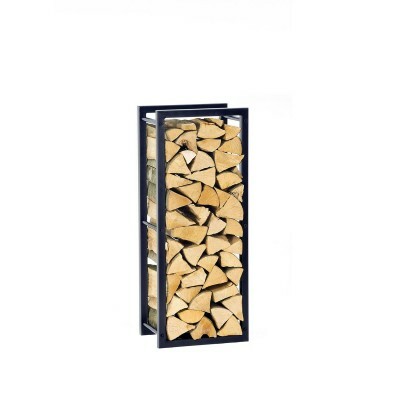 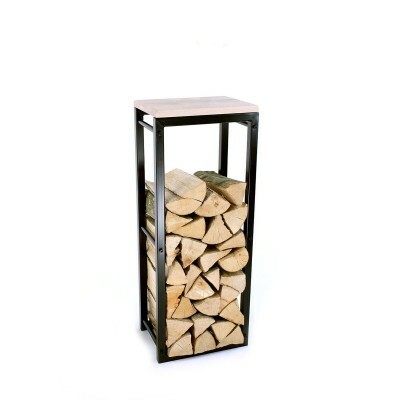 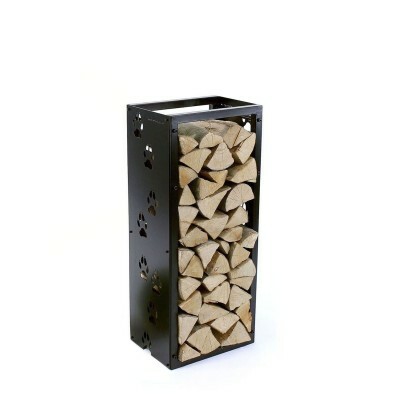 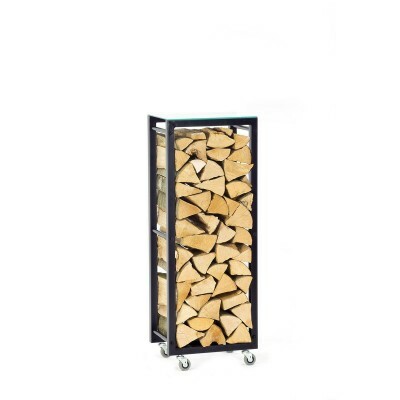 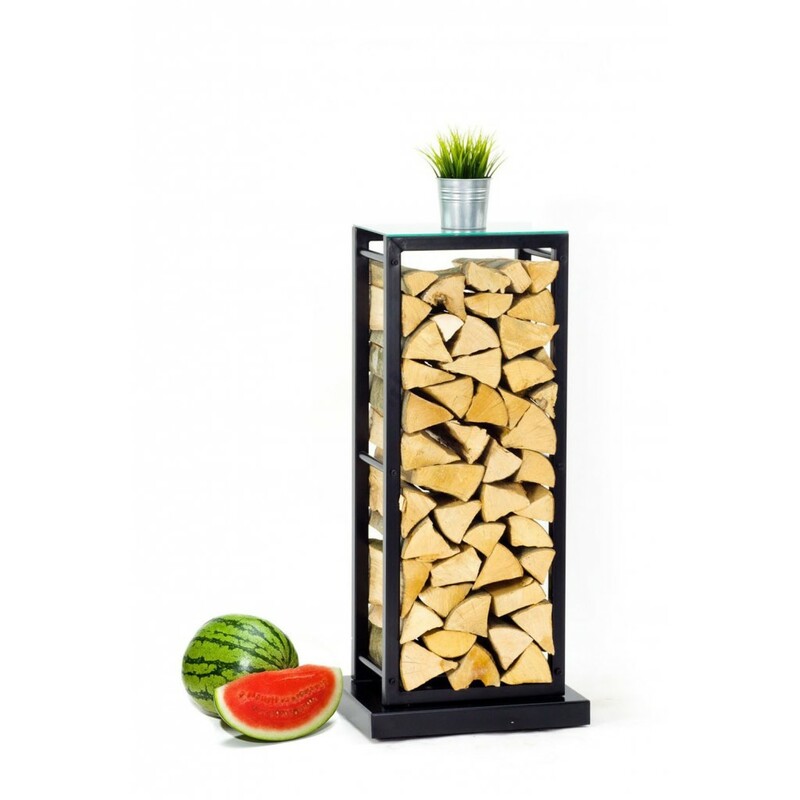 This rack was designed to correspond to the usual height of a stove or a fireplace and at the same time was able to store a reasonable amount of firewood. 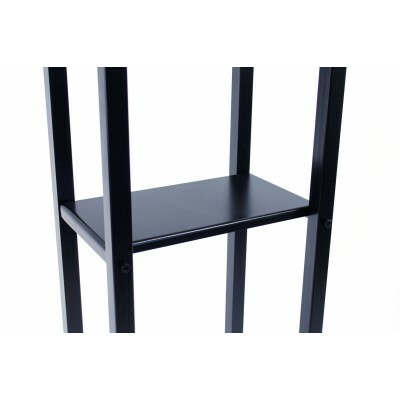 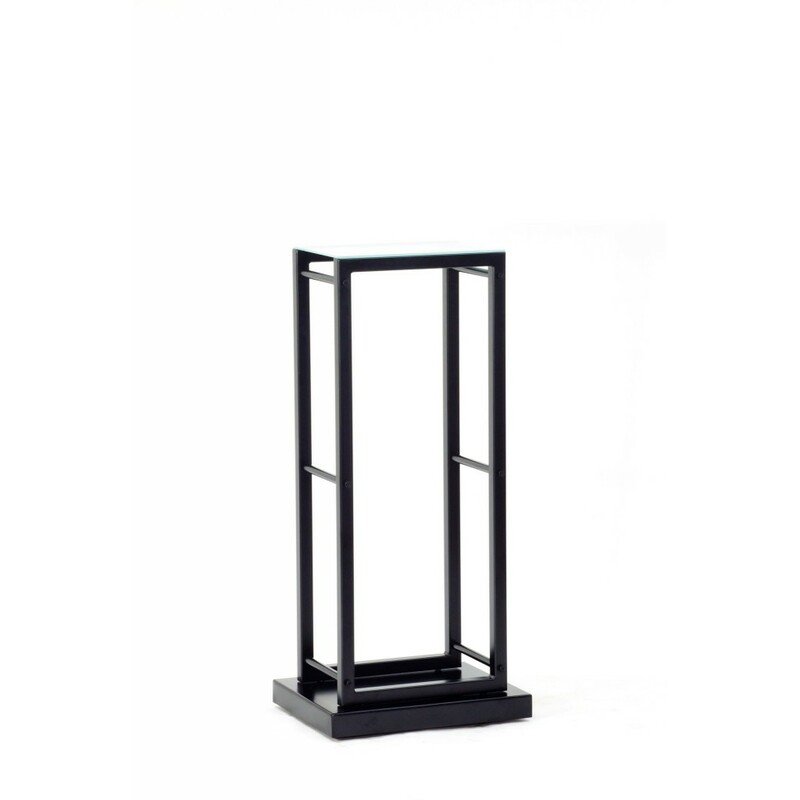 Surface finish High quality powder-coated metal construction of the stand provides excellent impact and abrasion resistance when placing thelogs inside and while taking them out. 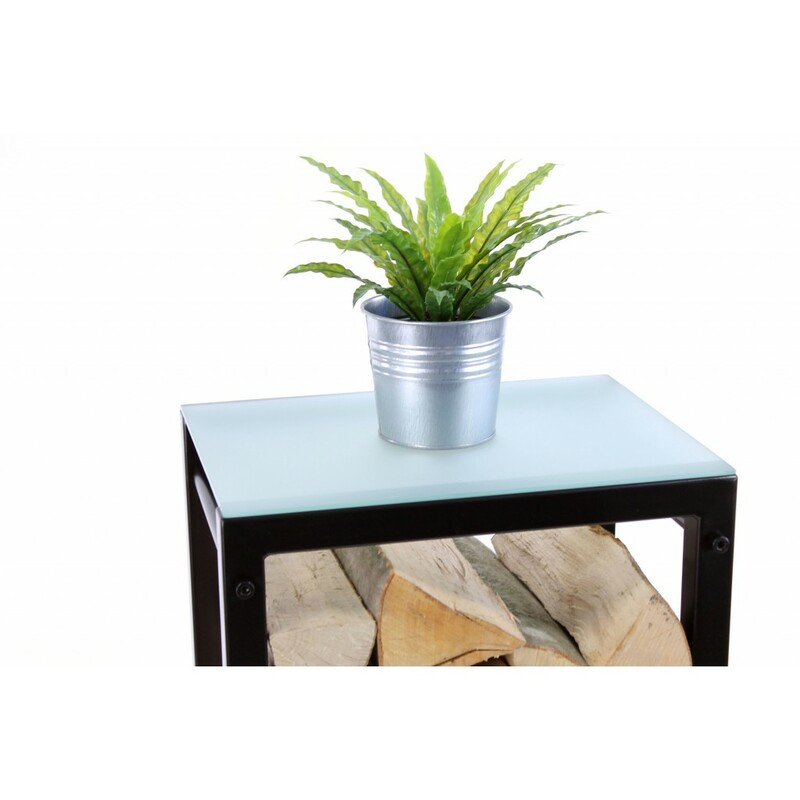 The smooth surface of the paint is easy to clean. 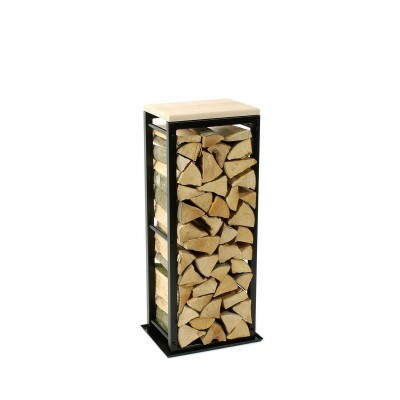 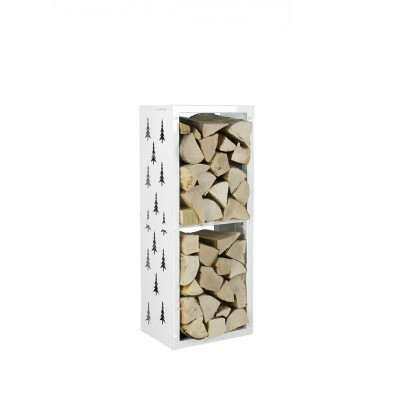 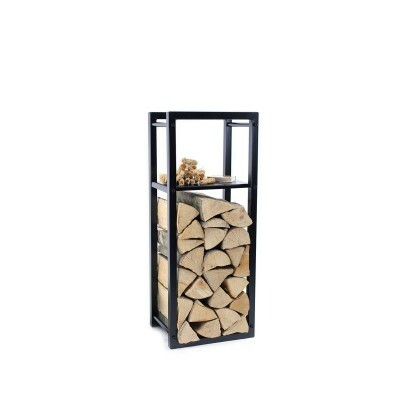 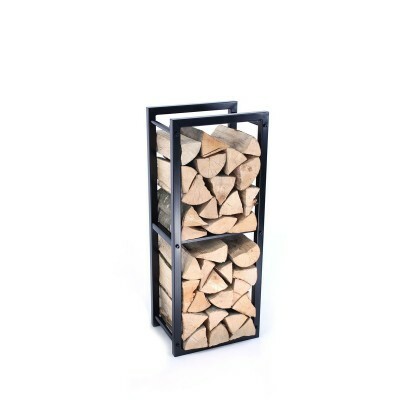 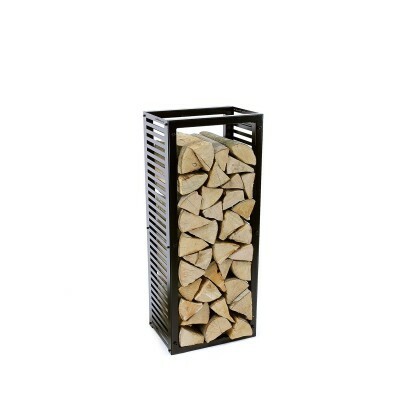 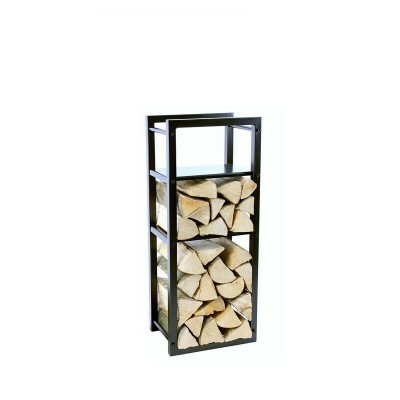 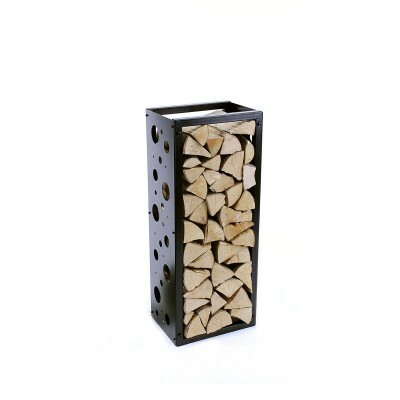 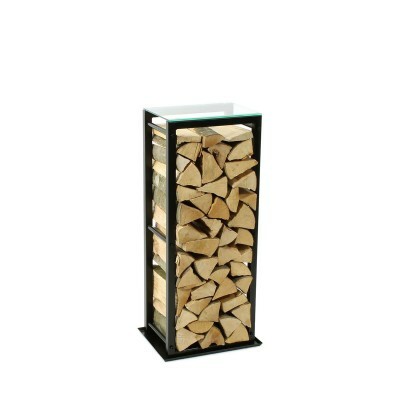 With this particular firewood rack we were able to combine an easy manipulation and design neatness of the whole concept. 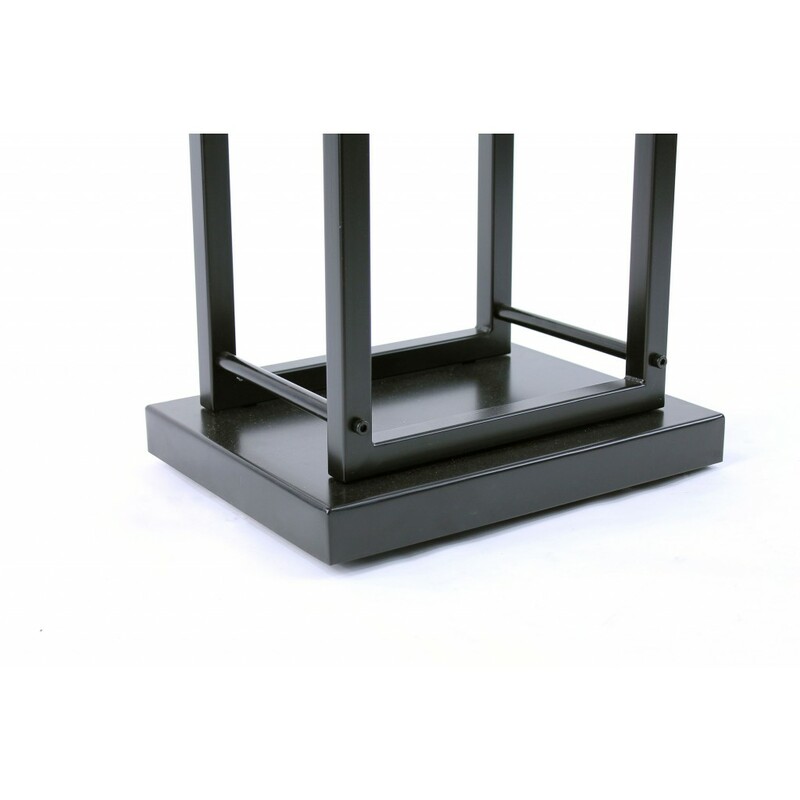 We developed a smart cover for the wheels that smoothens the whole design of the rack. 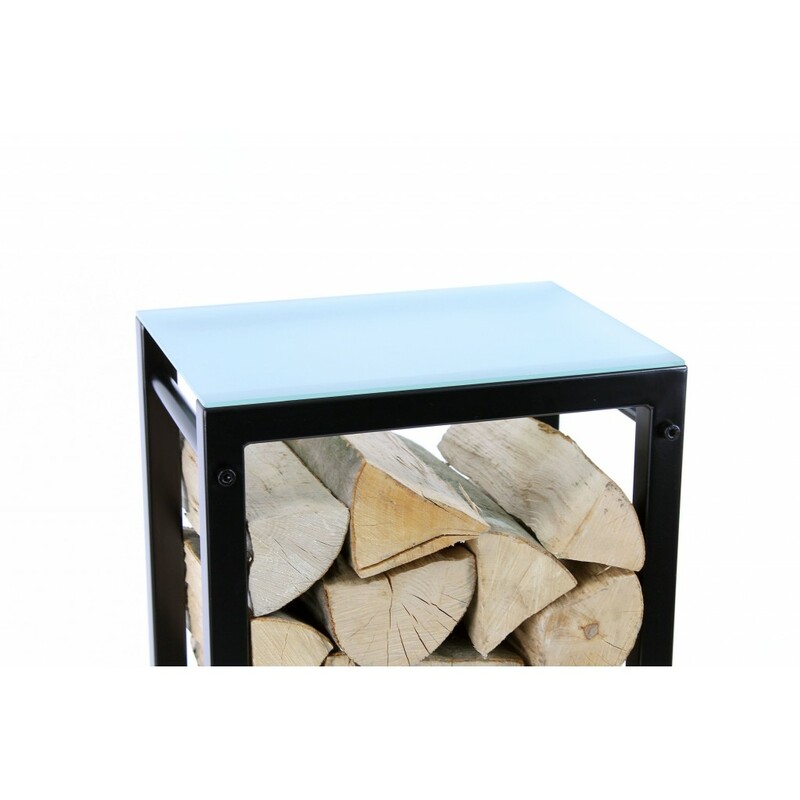 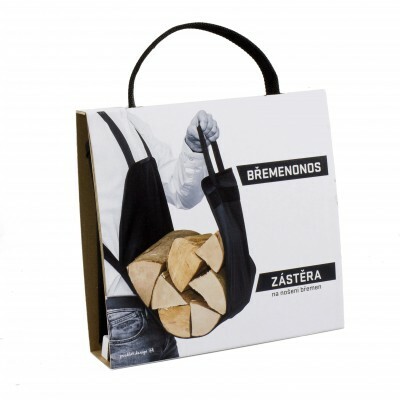 Easy-to-clean upper surface prevents any dirt or pieces of the wood to fall under the stand!